When it comes to musical icon deaths, 2016 could be the worst year ever, according toCNN. 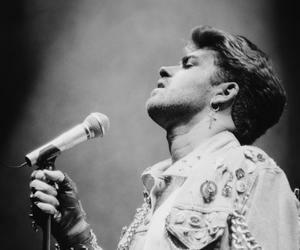 The surprising death of British pop star George Michael on December 25 is the latest surprise in 12 horrible months in which we said goodbye to David Bowie, Glenn Frey, Prince, Merle Haggard, Juan Gabriel and Leonard Cohen to name Just some of the most influential and popular artists that left us this year. It may be the deadliest era for music legends since 1970-1971, when we lost Jimi Hendrix, Janis Joplin, Jim Morrison and Louis Armstrong in the painful 11-month span. This should be called, from now on, as "the year music died". And it still does not end. Please, 2016, give us a break! This is a brief recap of some of the musical talents that left us this year. At least we will have, forever, their songs.